The fourth of the five Guiding Principles in the House of Bishops’ Declaration expresses the Church of England’s commitment to enabling Anglicans who are committed to the traditional catholic understanding of the threefold ministry to ‘flourish within its life and structures’. 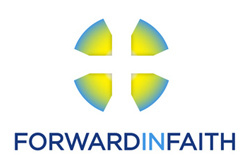 In co-operation with the Catholic Group in General Synod, Forward in Faith responded to this invitation to flourish within the Church of England’s structures by encouraging catholic Anglicans in each diocese to identify candidates to stand in the elections to the General Synod in September/October 2015 and to support them in their campaigns. A local elections co-ordinator was appointed for each diocese. This work was co-ordinated by our national Elections Officer, Anne Gray. A prayer leaflet was published for use during the voting period. It is available as a glossy leaflet here and in a form suitable for printing at home here. As announced here, the elections strengthened the Catholic presence in the General Synod. It was also re-invigorated. Half of the members of the new, larger, Catholic Group had never been members of the General Synod before. Representation in each of the three Houses was increased. Members of the Catholic Group are committed to the catholic faith as the Church of England received it, and to proclaiming it afresh in this generation. They will uphold catholic order and the catholic doctrine of the sacraments. They will be committed to the visible unity of Christ’s Church, to listening to the voice of the wider Church throughout the world and across the ages, and to bringing that voice to bear in the General Synod’s debates. Integral to our catholicity is the call to look with the eyes of Christ beyond the confines of the worshipping congregation, engaging in mission and pastoral outreach to the whole community of the parish, and being concerned with important issues affecting the nation and the world, particularly the poor and downtrodden. The Catholic Group has a strong record of participating in the General Synod’s debates, and making important contributions to the Church of England’s national work, in all of these areas. The election of worthy successors in larger numbers will make possible even stronger participation in the 2015-20 quinquennium.